Over the course of an impressive 31 years of service, Bobby Barton has made significant contributions to Warren Yazoo Behavioral Health. 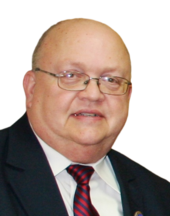 Promoted to the position of Executive Director in September 2013, Bobby has overall management responsibility for the services provided by the agency in Warren and Yazoo counties. Prior to being named Executive Director Bobby served as the Chief Operations Officer for the agency. He is known for his attention to detail and quality management expertise. In 1976, he earned a Bachelor’s degree in Psychology from the University of Mississippi and graduated from the University of Southern Mississippi in 1981 with a Master’s Degree in Social Work. Bobby’s unique coupling of clinical expertise and behavioral health protocol acumen provides the necessary leadership and skills to enhance Warren Yazoo Behavioral Health’s offerings and to help maintain our leadership position in the communities we serve. Donald G. Brown has 30 years of service at Warren Yazoo Behavioral Health, serving as Warren County Director for 25 years of his time with the agency. Don was named Deputy Executive Director in September 2013 and provides oversight to programs and services region-wide. 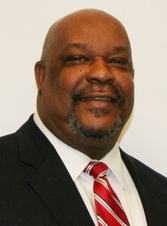 Don’s educational achievements include a Bachelor’s Degree in Sociology and Social Services from Alcorn State University in 1977, a Master’s Degree in Rehabilitation Counseling from Jackson State University, and post graduate work in Group Psychotherapy from Mississippi State University. Don has the confidence of staff and community members who rely on his excellent problem solving skills. Giving back to the community is the hallmark of Don’s career. He serves on many community and state level boards, routinely being asked to serve as chairman and other leadership roles. Don is a sustaining force to the agency. It is essential that WYBH remains a vital part of the community in which we operate. Providing jobs to serve those in need and integrating the facility as a vital part of the community is cornerstone of our operational focus and Don works to develop connections, determine community needs, and he makes giving back a priority. Rick Vessell has served as Chief Financial Officer since 1994. He directs strategic planning, implementation, management, and control of all Warren-Yazoo Mental Health Service financial activities. 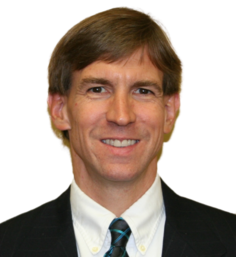 In 1988, Rick graduated from Mississippi State University with a Bachelor of Professional Accounting degree and earned his Certified Public Accountant License in 1997. In addition to leading the team of finance and accounting professionals, he is responsible for the IT and client records departments. He has 25 years of accounting and financial leadership experience and is a Certified Information Technology Professional. Throughout his years of experience, Rick has effectively overseen the implementation of several financial management and data collection systems, he is also keenly aware of the ever-changing dynamics of the behavioral health industry, and works diligently to ensure the stability of the agency’s finances throughout the changes and challenges that continue to exist.